You will be aware of the need to have a valid Will, however this is often overlooked as is the need to regularly update the Will to ensure it continues to reflect your circumstances and wishes. 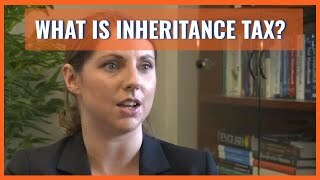 On death without a valid Will assets will be distributed in accordance with the laws of intestacy; contrary to popular belief this does not mean that all assets will pass to your spouse or partner if you are married or in a civil partnership. Holding a valid Will is the only way to ensure your assets are passed on as you would wish. A Power of Attorney should also be considered to enable your affairs to be managed if in time you lack the capacity to do so yourself. Having a valid Will is a crucial part of estate planning. And while many people do recognise the need to draw up a Will, what is often overlooked is that circumstances and wishes change over time. When that happens, Wills need to be updated. While Fiducia Wealth does not offer a Will writing service, we offer honest, professional advice on the terms of your Will, and what to include to align it with your estate planning objectives. We also advise on nominating a chosen party to assume power of attorney on your behalf, should you ever be in a situation where you are no longer able to manage your affairs yourself. Without a Will, you have no control over how your estate will be dealt with following your death. Whatever plans you have put into place to take care of your children, grandchildren, spouse and other loves ones, whatever verbal agreements you have made, count for nothing if they are not written into a Will. Without a ill, your assets will be distributed in accordance with the laws of intestacy. Contrary to popular belief, this does not mean that all assets will pass to your spouse or partner if you are married or in a civil partnership. Holding a valid Will is the only way to ensure your assets are passed on as you would wish. Our financial planning experts will help ensure your will not only provides for the people you want to pass your wealth onto, they will also advise on how the terms of your Will can maximise the value of your estate. This will include writing the terms of any trusts, special investments and whole life insurance policies into your Will, with a view to reducing Inheritance Tax liabilities. Powers of attorney set out the legal basis on which other people can be nominated to take decisions on your behalf. In relation to later life, these are typically decisions relating to your finances, your property, your health and your care arrangements. Powers of attorney traditionally come into force when the grantor loses mental capacity, but can also be handed over when an individual no longer wishes to make decisions on their own behalf. Our professional team will advise on the options available for granting powers of attorney to a trusted party, and how to make arrangements which best protect the interests of your loved ones.